This super light, watertight duffel is constructed of 70D ripstop nylon with RF welded seams and is waterproof up to the zipper. The HydroKiss coated zipper and storm flap give added protection that ordinary duffels don't have. An adjustable/detachable shoulder strap is included. 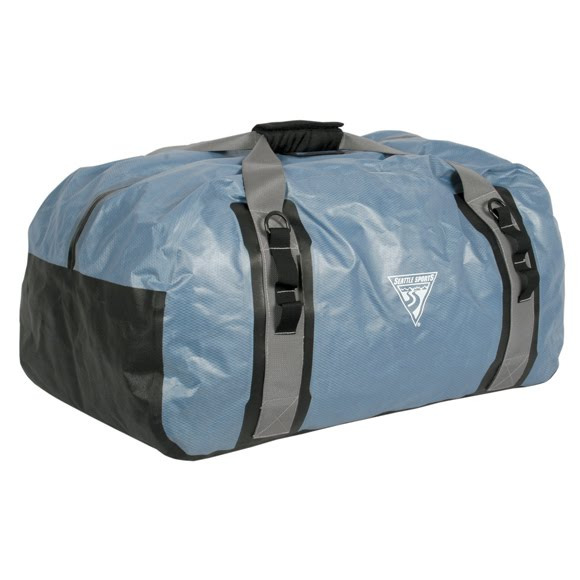 It's a high quality, durable duffel that is an affordable upgrade from any sewn duffel out there. This super light, watertight duffel is constructed of 70D ripstop nylon with RF welded seams and is waterproof up to the zipper. The HydroKiss coated zipper and storm flap give added protection that ordinary duffels don&apos;t have. An adjustable/detachable shoulder strap is included. It&apos;s a high quality, durable duffel that is an affordable upgrade from any sewn duffel out there. HydroKiss coated zipper help prevent water penetration. Waterproof up to the zipper.